Belmont Village, an upscale rental community in Turtle Creek at 3535 North Hall Street, is one of Dallas’ most sought-after senior living communities offering the perfect blend of comfort, care, and active living. 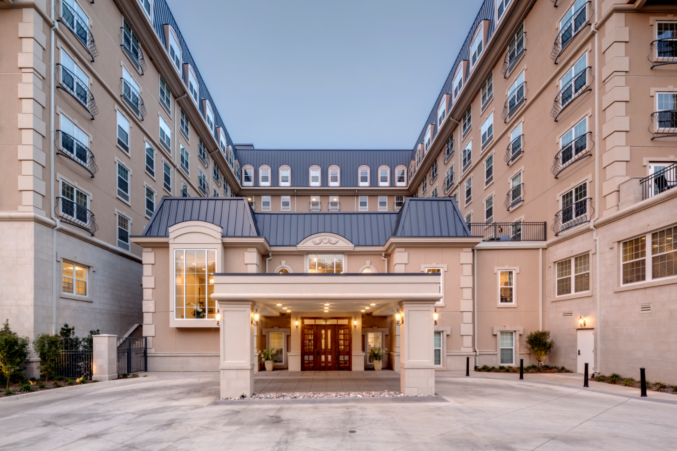 The French-provincial style mid-rise houses 201 private apartments for independent living, assisted living, and memory care, plus an assortment of inviting indoor and outdoor common areas. Amenities include a signature dining program, transportation services, professionally managed fitness center for wellness programs and rehab services, salon and spa, and an indoor swimming pool with views of Lee Park and beyond. Belmont Village is known for its range of award-winning programs designed to maintain mental acuity. Each program embraces a whole brain fitness lifestyle, which focuses on seven essential elements – aerobic and strength exercises, heart-healthy diet, sense of purpose, strong social network, mental workouts, life-long Learning, and reduced stress. Lifestyle elements are customized to meet the needs and abilities of each resident, encouraging successful aging at every phase. The community also provides a full calendar of daily activities and a licensed nurse and well-trained staff on-site around-the-clock. The building is licensed throughout to provide the highest care level, for flexibility when needs change and so that couples with differing care needs can stay together.